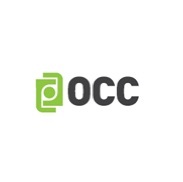 Options Clearing Corp. (OCC), the largest equity derivatives clearing organization, has named Luke Moranda as its newest senior vice president and chief information officer (CIO), according to an OCC statement. In his new role as the senior VP and CIO, Mr. Moranda will spearhead the group’s technology vision as well as overall strategy, helping OCC’s clearing members. He will be succeeding Raymond Tamayo, where he will report to OCC President and COO Michael McClain. Mr. Moranda has landed at OCC from JPMorgan, having worked as the bank’s managing director for clearing technology and global payments technology in the treasury services technology segment. In addition to JPMorgan, he has also worked in a number of executive roles at Heller Financial Capital and Accenture. “On behalf of our board and management team, I want to thank Ray for his years of service to OCC. He had many accomplishments, including modernization of our infrastructure, increased cyber preparedness, and the implementation of ENCORE prices. I appreciate Ray’s willingness to stay on for a period of time as part of our succession planning to create a seamless transition for Luke, our team, and our clearing member firms,” added Mr. Donohue.